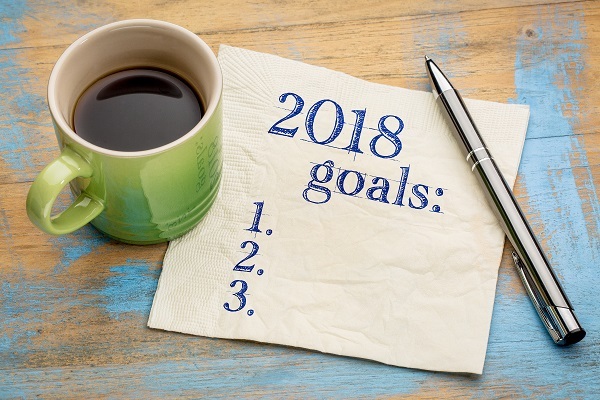 Expecting an IRS refund for 2018 taxes? Maybe you have already filed and know exactly how much you're getting back. There are many things you could do with a refund, from shopping to utility bills, to savings and paying down debt. Some people use their refunds to invest in a cosmetic, restorative or general dentistry procedure they've been planning to get. Although the average refund is down about 8 percent so far this year, some people – especially married filers with children – may get a bigger refund this year. 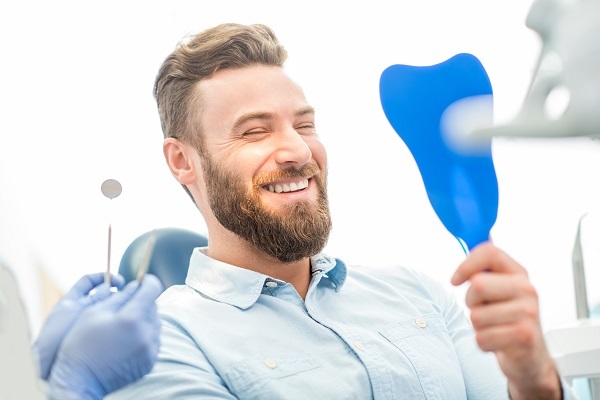 You should obviously make the choice that feels right to you, but we want to discuss what you will get back in return for investing your refund in dentistry. Please give us a call if you have any questions about dental care, financing and insurance. Like any responsible saver, you probably want to maximize what you are able to do with your IRS refund. 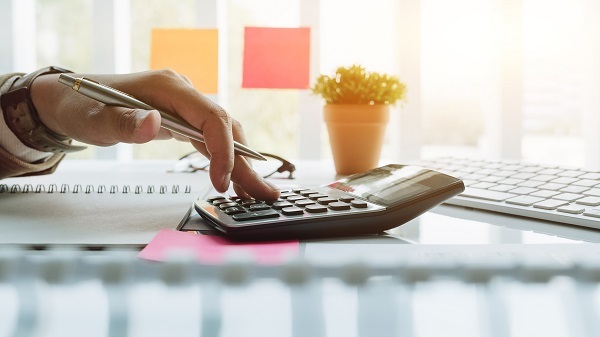 If you've been delaying dental treatment while you save up for the co-pay or down payment, your refund may be the perfect opportunity you've been waiting for. Dentistry provides benefits well into the future, especially those treatments that rehabilitate your dental health and dental function. Opting for a dental implant, for example, pays you back both immediately and in the decades ahead. Replacing a tooth makes it possible to chew, speak, laugh and smile like you did before tooth loss. Tax refunds aside, maintaining good dental health – which includes routine cleanings and checkups – is important. If there is a treatment you know you need because a dentist has recommended it, or if you are due for a cleaning and checkup, you deserve those things. If you have dental insurance, call your insurer or log in to your account to verify what is covered and what your co-pays are. When you visit us for a consultation, our experienced staff can help to verify your coverage, although ultimately the patient is responsible for payment at the time of service, even if the insurer changes their coverage estimate. We can help you sort out those details when you visit us. Our office also works with several financing companies. Offering varying terms, these financing plans can be applied for online. They'll make it possible for you to pay in monthly installments for the dentistry you want. Ask our office for more information. Reduce the risk of dental maladies. Gum disease, gum recession, tooth decay, tooth abscesses, bad breath – these dental problems are often completely preventable with proper care. Staying on top of your dental health keeps your teeth and gums healthy, which is a worthwhile investment. Promote lifelong teeth retention. The average lifespan is longer than previous generations, and today's adults don't assume they will get dentures at some point. Instead, modern dentistry focuses on maintaining teeth so that they have the best chance of lasting a lifetime. By investing in the dental restorations and treatments you need today, you'll continue to reap the benefits well into the future. Help you feel good about the way you look. Feeling good about your smile and your oral health can positively influence many areas of your life. 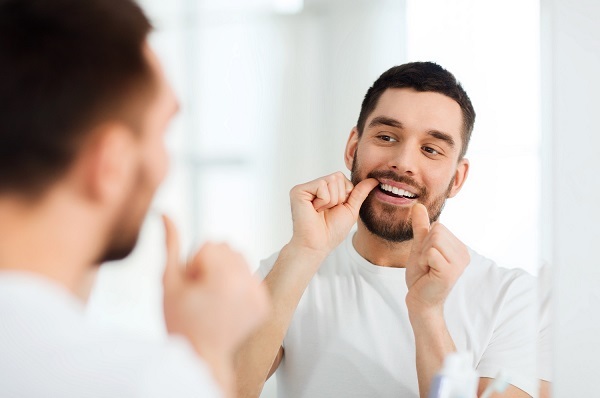 You'll probably feel more confident and may experience a lift in self-esteem once you've gotten the dental rehabilitation you've been saving for. This is good for your mental health, and may even be good for job promotions, getting hired at a new job, making new friends, connecting with your current friends and loved ones. When you like your smile, it can result in being more open and approachable. Of course, the only way to weigh the costs against the benefits of a recommended treatment is to visit our experienced dentists. After examining your teeth and mouth, the dentist will help you plan the most effective path toward rehabilitating your smile and oral health. If you are searching for experienced, compassionate dentists to provide effective, gentle care, please call the practice of Dr. Meredith Pogal and Dr. Paul Sussman at 585-227-4390. Our dentists are located in Rochester, New York, and our patients visit us from across the region, including Fairport, Greece and Webster. Is 2019 the year you finally get porcelain veneers? If so, there are some items you should consider. Below, we've provided 6 tips and pointers as you arrange consultations with dentists in the area. You may want to compare dentists before choosing. At the Center for Cosmetic & General Dentistry in Rochester, we hope you'll call us to arrange a complimentary consultation! Our experienced dentists offer a full array of cosmetic dentistry options, and they can help you decide if porcelain veneers will produce the smile of your dreams. To arrange your consultation in Rochester, NY, please call us at 585-227-4390. 1. You should choose an experienced practitioner. Find a dentist – like our dentists – who provide porcelain veneers routinely. Our dentists are experienced with evaluation of teeth for veneer suitability, designing the right smile for you, and placement of the veneers on the teeth. Our dentists are also committed to achieving the results that make you happiest. 2. Know that porcelain veneers are customized to you as an individual. You have a smile that is the most flattering for your facial shape, your facial expressions and the way you smile. Let us present your veneer design options that will be the most flattering. 3. Spend some time beforehand identifying the aspects of your teeth you are unhappy with. Our cosmetic dentists will be able to see cosmetic flaws in your teeth that can be masked with veneers, but they also want to hear from you. Let us know which issues you would like to change and point out specifics. 4. Ask how many teeth need to be veneered to get the desired results. While placing veneers on all or most of the teeth is possible and not at all uncommon, it may be that you need only several teeth veneered to get the results you want. Sometimes the four front, upper teeth can be veneered and the others left alone, or a couple teeth each on the upper and lower arches. Of course the ultimate goal is to provide you with a beautiful, symmetrical smile. We'll be able to discuss all of your options, and suggest which teeth should receive veneers, after meeting with you and examining your teeth. 5. Be prepared to talk about which shades will be the most flattering. Most people want the whitest-white shade when inquiring about veneers. Our dentists do in fact want you to have the stain-free, beautiful white smile that you want. We also want to discuss how different shades of veneers will appear in your smile. Our cosmetic dentists will show you which shades will look the most naturally white with your skin tone. On the other hand, some people prefer the look of a dazzling whitest-white smile, regardless of skin tone. We are happy to provide the tooth color you want after discussing your options with you. 6. Maintain your veneers to make them last as long as possible. It's the same dental hygiene you are already doing! Taking care of your teeth is the same way to take care of your veneers. These hygiene steps help you prevent decay around the veneers, stains and gum inflammation. You should also exercise caution related to breaking the veneers – so don't chew on ice cubes or use your teeth to open packages. To find out if you are a good candidate for porcelain veneers, please call to arrange a consultation with our experienced cosmetic dentists in Rochester: 585-227-4390. We have been caring for this community for many years, and it makes us proud that people visit us from across the region, including Greece, Webster and Fairport. Does your dental insurance expire at the end of the year or in Spring, 2019? If so, now is a great time to call our office and schedule an appointment. 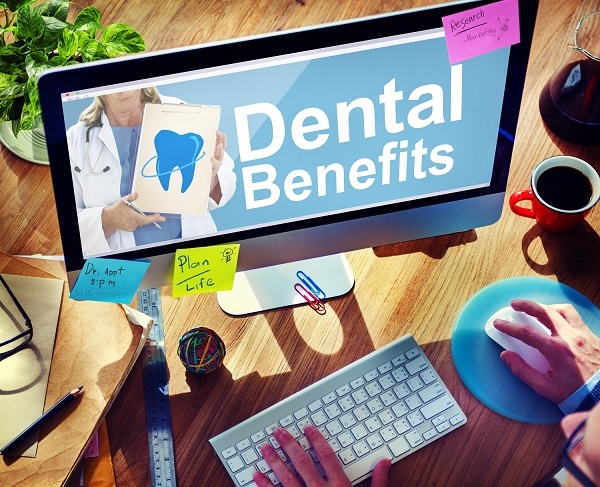 Your dental insurance basically provides discounted dental care, so that you can save money while also preventing cavities, gum disease and other oral health problems. Refer to your policy for specifics. One thing to consider is your yearly maximum. This is the maximum amount that your policy will pay in a fiscal or calendar year. $1,000 is not an uncommon maximum. These maximums do not typically roll over if you renew your policy, so you should exhaust the maximum before your plan ends. Otherwise, there's money on the table for necessary dental care that could go to waste! The same goes for your Flexible Spending Account, or FSA. If you have an FSA and if your contributions to that account may be used for approved dental work, then you should use that money before it expires. FSAs are use-it-or-lose-it accounts, so the contributions don't roll over. 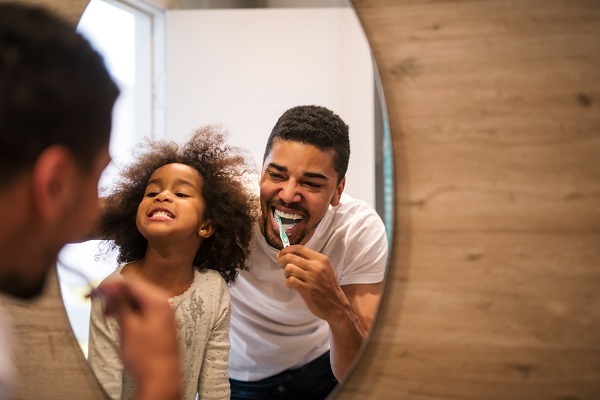 Many dental insurance plans cover 100 percent of what they deem routine preventive care, such as cleanings and checkups. That means you can get this important care basically for free, other than paying into your premium. Taking care of dental problems sooner than later is always a good idea. In fact, it's necessary to save time, money and hassle. A good example is a tooth cavity: In early stages, decay can usually be treated with a filling. If the decay is allowed to progress, then root canal therapy may be necessary in order to treat infection that has spread to the pulp of the root canals. Treatments tend to be less invasive, expensive and time-consuming for early stage issues. If you are ready to schedule your next checkup and cleaning, or think you may need some dental work completed, please call our office at 585-227-4390 to schedule the next available opening. If it is too late to take advantage of your current plan, you should still schedule your next appointment! Routine care prevents dental problems, and the sooner you get on track, the better. 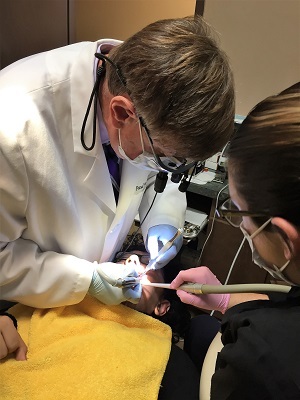 Dr. Paul Sussman has incorporated a new device into his implant dentistry procedures. 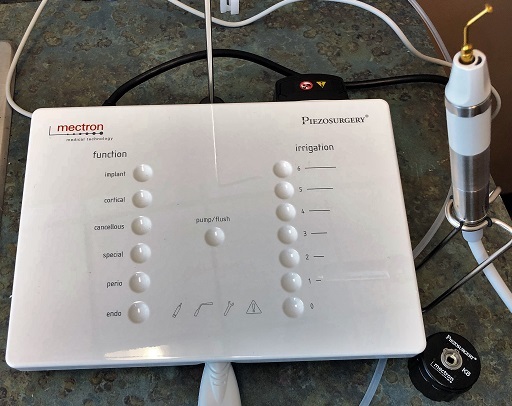 Made by PIEZOSURGERY®, this device enhances surgical precision and patient comfort, and ultimately we feel is a benefit to our patients. Lateral sinus augmentation: Also called a sinus lift, this procedure augments the bone in the upper jaw where implants are being placed. This procedure is necessary for some dental implant candidates who have insufficient bone in that area. Ridge splitting: Sometimes the boney ridge beneath the teeth is too narrow for successful placement of dental implants, in which case a ridge splitting procedure may be recommended to widen that area. Because this device is highly precise and targeted, it cuts only the bone without affecting the surrounding soft tissue. When you call us for more information, we are happy to tell you about the technologies, techniques and treatments offered at our practice. Our dentists are personally committed to helping our patients achieve great oral health and beautiful smiles. Interested in learning more or finding out if you are a good candidate for dental implants in Rochester, New York? If so, please call the dental practice of Dr. Paul Sussman and Dr. Meredith Pogal at 585-227-4390. We proudly provide care to people from throughout the region, including Fairport, Greece and Webster. The Good, The Bad and The Ugly: Which Candies are Worst for Teeth? Sticky candies stay on the teeth longer, increasing the amount of time enamel is exposed to cavity-causing sugar. Things like taffy, gummies and lollipops, or any chewy and sticky sweet, tends to latch onto tooth enamel. Hard candies may chip or crack a tooth if bitten into or chewed. 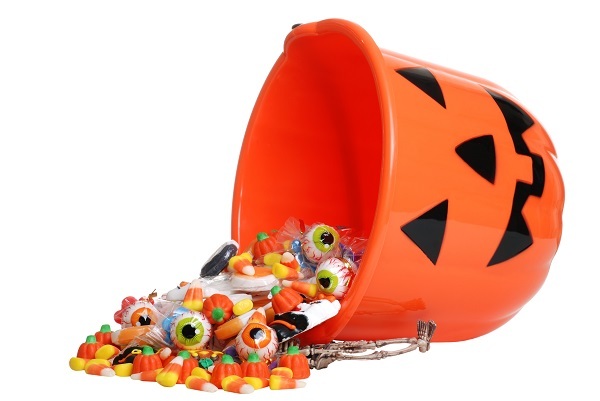 Remind your little trick-or-treaters that lollipops and similar sweets are supposed to dissolve slowly in your mouth and shouldn't be bitten into. Our teeth are really strong, but they can break with the right amount of pressure. Nevertheless, Halloween is a once-a-year event. Like all holidays, we think Halloween is a great reason to enjoy sweet treats and goodies! Below, we discuss some ways you can keep your teeth clean without missing out on your favorites candies. Resist snacking on candy throughout the day. You want to limit the frequency of contact between sugar and your tooth enamel. Eating candy throughout the day means your teeth are exposed to sugar throughout the day, giving bacteria multiple opportunities to feast on the sweets and cause cavities as a result. Eat candy as part of a meal. When you eat sweets with a meal – as the dessert, for example – your mouth will be better equipped to neutralize the acid produced by bacteria in your mouth. You'll have more saliva in your mouth when you eat a meal. This saliva helps dilute cavity-causing acid and to rinse away food particles on your teeth. Rinse with water. Rinse after eating candy. It helps to wash the candy off your teeth. Chew sugarless gum. Another way to stimulate saliva is by chewing gum. The gum also picks up candy leftovers from your teeth. According to the American Dental Association, studies have shown that chewing gum for 20 minutes after a meal reduces tooth decay. Wait 30 minutes, then brush. Brushing your teeth is, of course, a great way to prevent cavities. But it's best practice to rinse with water after candy, then wait at least 30 minutes before brushing. Certain foods, especially acidic foods, soften your tooth enamel for about a half hour. While soft, the enamel will be especially sensitive to toothbrush bristles. The surface of your teeth will harden again about 30 minutes later. Is it time to schedule your next checkup and cleaning with our experienced Rochester dentists? At the practice of Dr. Meredith Pogal and Dr. Paul Sussman, we are enthusiastic about helping our patients achieve and maintain great dental health. To schedule your appointment, please call our experienced staff at 585-227-4390. For years we have proudly provided dental care to people from across the region, including the cities of Fairport, Webster and Greece. Healthy teeth and gums are the foundation of a gorgeous smile. Oral health starts with your at-home hygiene routine, and is supported and maintained by our skilled hygienists. To learn more, and to arrange your next cleaning and checkup in Rochester, New York, please call the practice of Dr. Meredith Pogal and Dr. Paul Sussman at 585-227-4390. We all know that cleaning your teeth in the morning and again at night is important. Below, we outline some tips and specifics for those routines. While you sleep, your saliva production slows, and your mouth can get dry. This environment gives bacteria an opportunity to flourish on your teeth and the surfaces of your mouth. It is these bacteria which cause cavities by producing an acid as they break down food and beverages on your teeth. Brushing disrupts the film on your teeth that contains these bacteria. That film is known as dental plaque. So, it is very important to brush when you wake up. If you choose to brush after eating breakfast, you should wait about 20-30 minutes after your meal. In that time, your enamel is a little softer and more vulnerable to the abrasiveness of toothbrush bristles. Your enamel is softer because of the acidic components of food and drinks, especially orange juice and fruit. But the enamel will re-harden in the half hour or so afterward. Some people choose to brush three times a day, which is perfectly fine. It can freshen your breath and brush away cavity-causing food debris. After breakfast, try to wait about 30 minutes before cleaning your teeth. If you are brushing this often, be extra careful to use light pressure. You don't want to overdo it and scrub your teeth, which wears your enamel. Use feather-light pressure that is more like massaging your teeth than scrubbing them. Brush and floss before going to sleep. This breaks up the filmy buildup of food, saliva and bacteria that has formed on your teeth from lunch and dinner. It also bathes the teeth in cavity-fighting fluoride. Brushing and flossing should be the very last thing you do. Don't clean your teeth if there is a chance you'll have a snack or a non-water beverage before bed. No dental hygiene routine is complete without regular visits to the dentist. For most people, these visits should happen every 6 months. During these appointments, our hygienists will clean your teeth, including polishing and flossing. We take x-rays once a year so that we can see any cavities or other problems that are developing. Our dentists perform an exam of your teeth and gums to look for signs of any dental problems. It's important to go to these appointments regularly to prevent dental problems. Prevention saves you time, money and hassle in the long run when compared to treating advanced dental conditions. Ready to schedule an appointment with our dentists? We proudly provide dentistry to patients from throughout our region of New York, including Webster, Greece and Fairport. Our experienced and gentle dentists provide a one-stop shop of preventive, restorative and cosmetic dental services to serve your needs. To arrange your next checkup, please call our team at 585-227-4390. For young patients with developing teeth, dutiful dental hygiene and prevention of problems are the best way to start the school year. Our dentists suggest the following tips to help your children maintain a healthy mouth. To schedule your family's next appointment or to learn more about our general dentistry services, please call the Center for Cosmetic & General Dentistry at 585-227-4390 today. Dr. Sussman, Dr. Pogal, and our entire dental team serve patients in and around Rochester, Greece, Webster, Fairport, and nearby areas of New York. The key with any snack is to avoid products with lots of sugar. Even seemingly healthy foods and drinks will negatively impact your child's teeth if they are rich in sugar. When you're shopping, be sure to check the label, as many brands try to hide the sugar content of their products. If your child has braces, modify your choices accordingly. Instead of a whole apple, opt for apple slices. Select carrot sticks or baby carrots instead of large chunks. And, instead of raisins, go for fresh grapes. Modifying nutrious snack choices will keep your child's braces free from damage. A mouthguard is a must if your child is involved in afterschool sports. Football, basketball, and other activities all carry a risk of injury to the teeth and gums. But, you can avoid an emergency appointment by getting your child fitted with the right equipment. Mouthguards are available at most sporting goods stores, but these are one-size-fits-all. The better option is to visit the dentist and get an athletic mouthguard that is precisely fabricated to your child's teeth. If you have established a routine for morning and nighttime to make sure your child brushes his or her teeth, be sure to keep the schedule in place once school starts. Structure is key to help kids become responsible for their own dental hygiene. As you help them become more independent, regularly check their teeth and gums, especially when they lose a tooth. 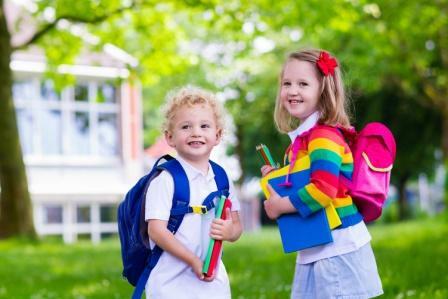 You can also teach your children to take steps toward good dental health while they are at school. Rinsing with water from the drinking fountain is a quick and easy way to wash away the bacteria that cause cavities. The Center for Cosmetic & General Dentistry has been serving patients for over 35 years. Our family dentistry services include flexible scheduling that accommodates adults and kids during a single office visit. Call 585-227-4390 to schedule a dental appointment for you and/or your child today. Our dentists serve patients in and around Rochester, Greece, Fairport, Webster, and nearby areas of New York. Implant-supported dentures look just like all other dentures, but they are attached to a series of dental implants. Other dentures are supported by the gums alone. Dental implants are small, titanium posts. Many people liken their appearance to a small screw, but these restorations are state-of-the-art. During a procedure, the implants are embedded in strategic locations in the boney ridge beneath your gums. Over time, the implants fuse with the bone, forming a durable bond. It is this bond that makes implant dentures such a secure option. 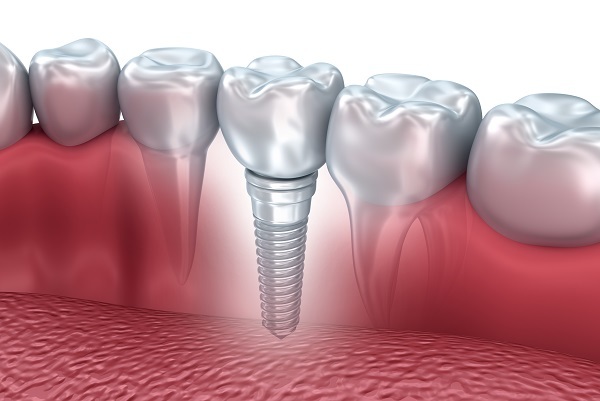 To replace the visible portion of missing teeth, dentures are attached to the dental implants. The only way to know if this tooth replacement option is right for you is to consult a dentist experienced with such options. Our dentists will examine your teeth and mouth, review your oral health history and chat with you about what you want out of your teeth replacement. Then they can recommend the range of options that may work for you. To arrange a consultation in Rochester, New York, please call us at 585-227-4390. Dentures supported by dental implants offer maximized durability and comfort. At the Center for Cosmetic & General Dentistry, our experienced restorative dentists want to help you find the best way to replace your missing teeth. To arrange a FREE consultation in Rochester, New York, please call our staff at 585-227-4390. It is made of durable, medical-grade titanium. The post is implanted in the bone beneath your gums, where it acts as a replacement for the tooth root. The visible portion of your missing tooth – called the crown – is replaced with a tooth crown, a dental bridge or a denture. A single tooth crown may be placed atop an implant to replace a single tooth. To replace multiple teeth or all of the teeth, a denture is often ideal. Modern dentures are nothing like the artificial-looking, slippery dentures common in the past. Today, they look like natural teeth. And when affixed to implants, dentures stay in place and don't slip. That means you can speak, chew, smile and laugh confidently, without fear of the appliance coming dislodged. Implant dentures are capable of replacing several missing teeth, as well as a full "arch" of teeth, which is all of the upper or all of the lower teeth. The dentures are supported by several implants placed strategically along the boney ridge beneath the gums. The only way to know if you are a good candidate is to visit us for a consultation. Our experienced dentists can tell you all of the tooth replacement options available, and then help you choose the one that is the best match for you. How Affordable are these Dentures? When you visit us for your consultation, we will provide you with a cost estimate for the service you are interested in. The dentists must first examine your teeth and recommend your full range of options before we can make that estimate. When restoring teeth, most patients consider cost as one of the deciding factors. We'll discuss cost with you, as well as any payment options available to you. We accept payment plans through a few different financing companies. Talk to our staff about all of your options at the time of your consultation. We want each of our patients to enjoy optimum function and aesthetics from their tooth replacements. A healthy smile is an attractive smile, and we offer those restorations that achieve both aesthetics and health. 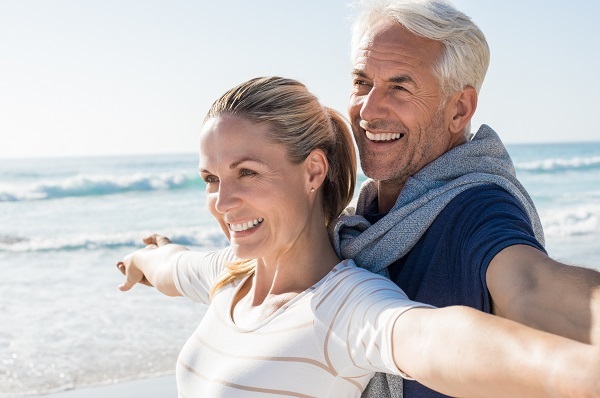 Whether you are missing a single tooth or multiple missing teeth, or all of your teeth, our experienced dentists in Rochester can help you decide if dentures or another type of tooth replacement is the best match for your goals. To arrange your FREE consultation, please call the practice of Dr. Paul Sussman and Dr. Meredith Pogal at 585-227-4390. Routine dental care is an essential component of a healthy pregnancy. Below, we've covered some of the basics of dentistry as it relates to your growing baby. If you have any additional questions or concerns, please don't hesitate to call our Rochester dentists at 585-227-4390. Great dental hygiene stays the same. Continue to brush at least twice a day, floss daily, and visit your dentist for regular cleanings and checkups. Let the dentist know you are pregnant, and we will determine if there are any ways you can improve or tailor your dental hygiene routine, but for most women, sticking to the standard at-home routine is adequate. Swish with water after a morning sickness episode. Nausea and vomiting can occur at any time of day or night while you're pregnant. The acid in vomit is bad for your teeth. It can erode the enamel, and it makes the enamel softer for a while. Because the enamel is softer and vulnerable to toothbrush bristles right after vomiting, you should swish and rinse with water and brush your teeth later, once the enamel has hardened up. You may want to mix baking soda in with the water to fight odor and neutralize acid. Stick with those scheduled dental appointments. Some women skip their regular dental appointments until after their baby is born. It's perfectly safe to receive cleanings and exams while pregnant, and it is in fact recommended. These appointments help us prevent and detect any signs of gum disease or other dental problems, which could affect your pregnancy. Gum disease has been linked to premature birth and low birth weight. Although there is some association in the research, we do not want to cause any undue stress or fear! Many women don't visit the dentist while pregnant and enjoy a healthy pregnancy nonetheless. But by visiting our dentists, we can make sure your oral health is in tip-top shape, which will not cause harm to the baby and may even be good for the course of the pregnancy. The rise in hormones while you're pregnant can make your gums softer, and therefore more vulnerable to bacteria and inflammation. It's normal to have mild gingivitis, including bleeding, red and irritated gums. Visit our dentist for tips tailored to the gum issues you are experiencing. Getting dental work while you are pregnant. The American Dental Association and the American Congress of Obstetricians and Gynecologists say that necessary dental treatments, such as fillings and tooth crowns, are safe to receive during pregnancy. They also encourage women to get these treatments if they need them during pregnancy, since delaying them may lead to bigger dental problems. The second trimester tends to be the ideal time for getting dental work. During your third trimester, lying down for treatment may be really uncomfortable. Unnecessary procedures, such as teeth whitening or possibly even replacing a missing tooth, may be delayed until after the birth of your child. For procedures that don't make a difference to your immediate dental health, it is oftentimes easier to delay them and avoid any stress, anxiety or issues they may present. Our dentists can help you decide which treatments to pursue and which to delay. We're with you every step of the way. If you have any questions or would like to schedule an appointment at our Rochester, NY dental office, please call the practice of Dr. Meredith Pogal and Dr. Paul Sussman at 585-227-4390. 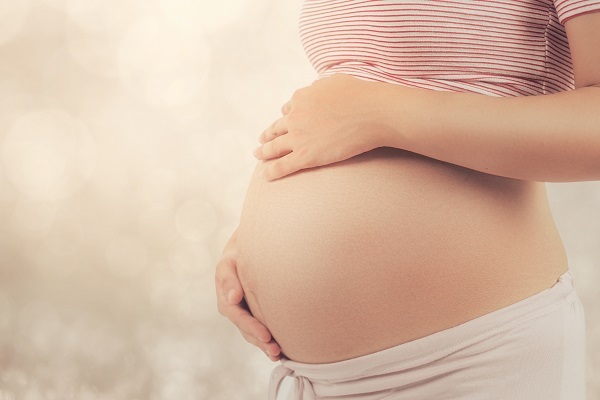 We proudly care for expecting moms, families, individuals, children and all of our guests who visit us from across the area, including Greece, Webster and Fairport.